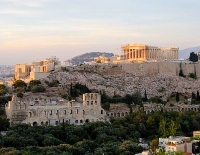 Athens is an ancient city in the truest sense, with a history stretching back into antiquity. Popular attractions such as the Acropolis, the Temple of Olympian Zeus and the Ancient Agora are among the city's dearest and most admired heirlooms. Visitors can view Athens' history on 'museum mile' along Vassilissis Sofias Avenue, where most of the city's museums are clustered. 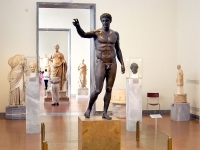 These include the Benaki Museum, the Museum of Cycladic Art and the Byzantine Museum. 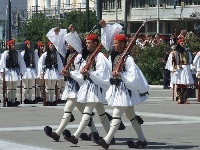 The 'mile' starts from Syntagma Square, which is home to the Greek Parliament. Visitors should stick around for the daily changing of the guard. 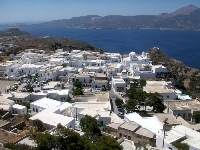 For the best view of the city, visitors should climb Lycavittos Hill. It offers a spectacular view of the Parthenon, and what feels like the entire Athens. The tranquil National Gardens make a lovely daytime break from the urban rush. Also, urban beaches such as Agios Kosmas, Attica Vouliagmeni, and Varkiza are only a tram-ride away. Though Athens is busy and occasionally overwhelming, it's exceedingly rewarding for sightseers.